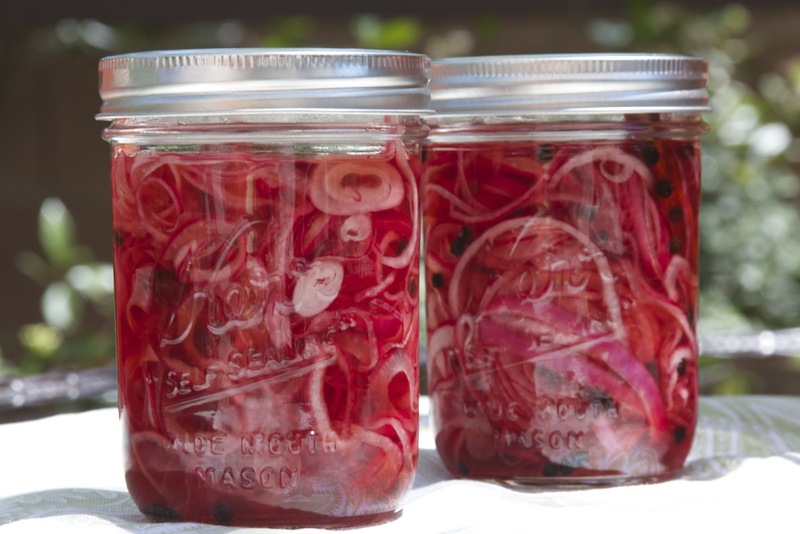 Pickled red onions are one of my favorite condiments and this is a very easy way to make them. I do not remember how I came upon this recipe in order to credit it properly, so if anyone recognizes it, please let me know! I’ve had it in my recipe file for quite some time now, so at this point, I almost consider it “mine”! 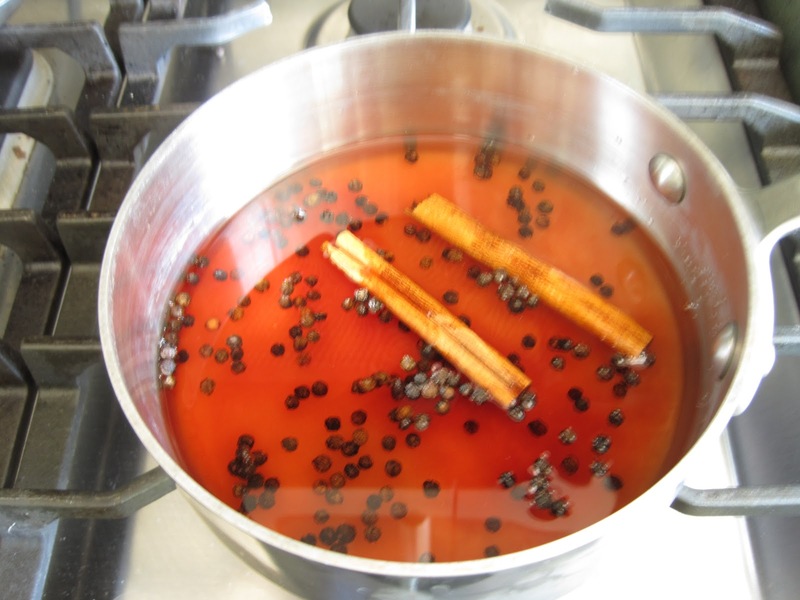 Combine the sugar, vinegars, salt, peppercorns and cinnamon stick in a small saucepan and bring to a boil. 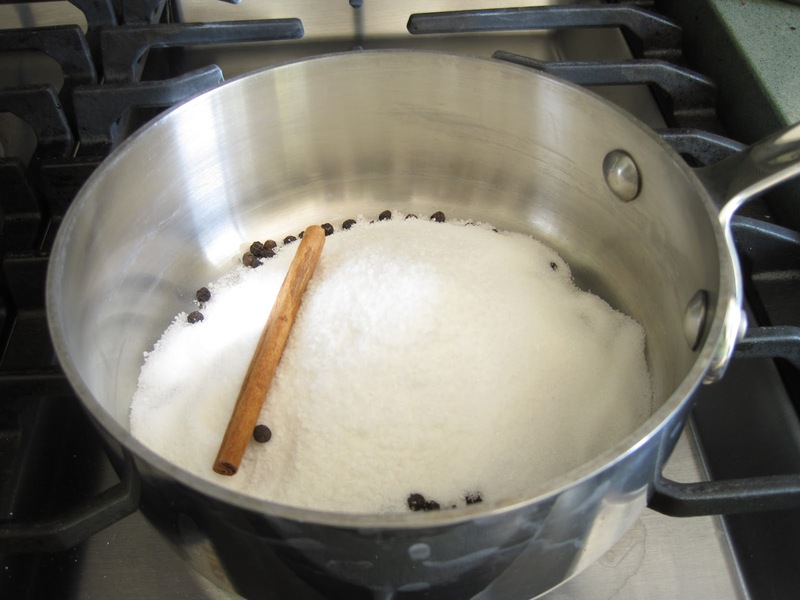 Once the sugar has completely dissolved, pour over the onions. 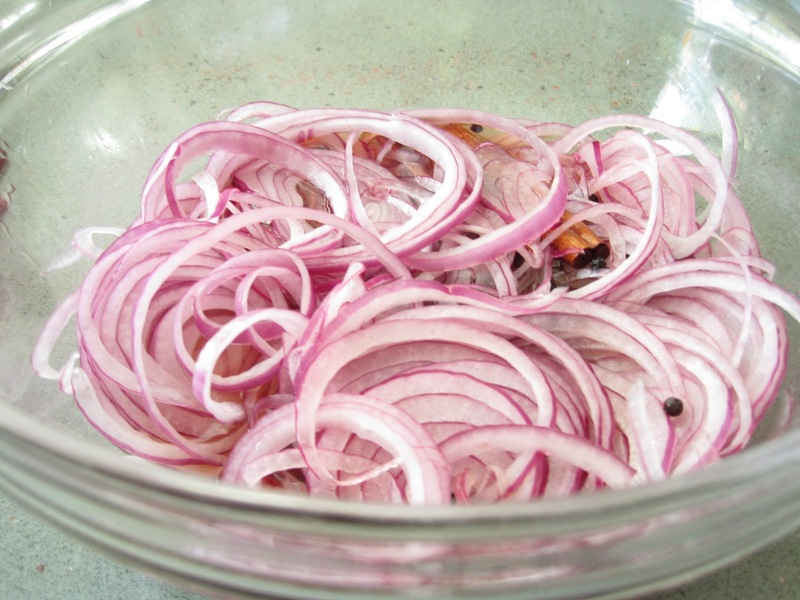 Bring to room temperature, then put the onions into a container and refrigerate. These onions will last around three weeks refrigerated. I like to put them on sandwiches, especially on Pulled Pork Sandwiches, but my favorite way to eat them is on a bagel with cream cheese, smoked salmon and capers!